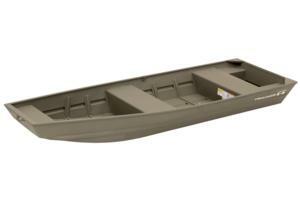 The TRACKER® TOPPER™ 1436 jon boat is our lightest 3-angler aluminum boat. 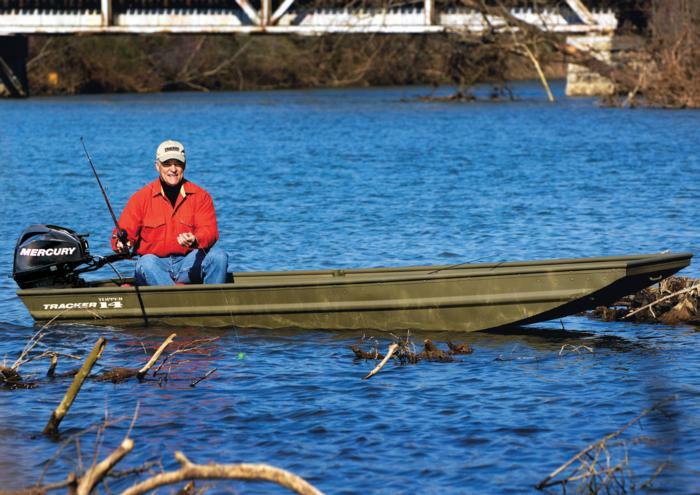 It’s reinforced with aft foam boxes, corner braces at transom and aluminum ribs that extend up sidewalls for strength—so it's tough enough for a ride in the back of the truck down an old dirt road to your secret fishin' hole! 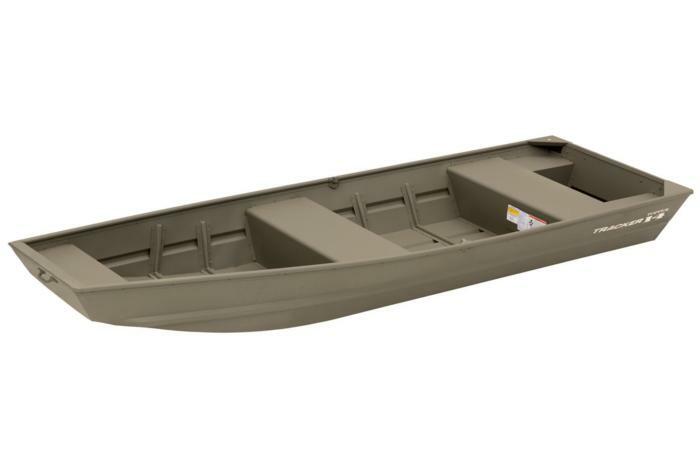 The TOPPER 1436 features center and aft bench seats and a bow platform, with plenty of room for gear inside. The Forest Green powder-coat will protect your boat from corrosion for years of service life, and it’s backed by a 3-year structural limited warranty, ensuring the quality TRACKER is known for. An optional trailer is available.